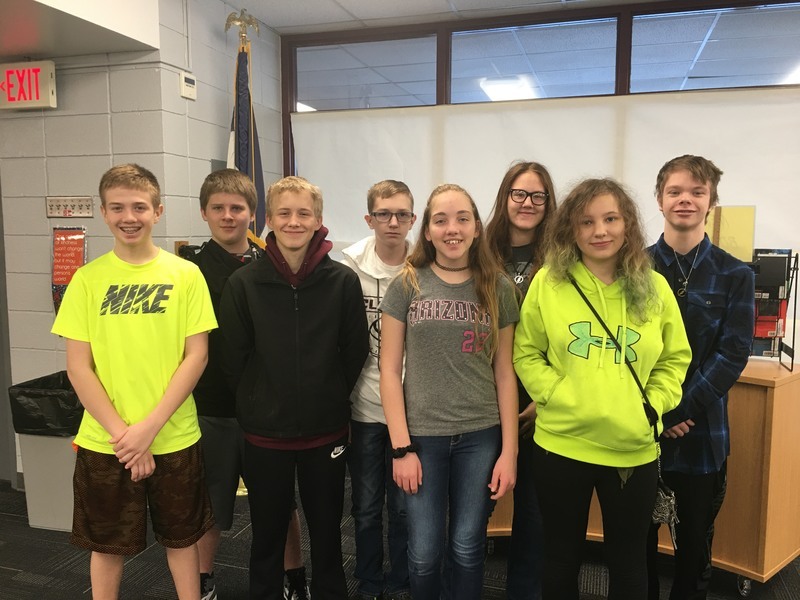 Clarke Middle School students participating in the CyberPatriot competition have earned their way into the semifinal round after scoring in the top half of over 800 global middle school teams. The high school team scored admirably in the state round, but fell short of the top 25% requirement to advance to the semifinal round. Team members include team captain McCormick Evink, Jeremiah Morgan, Ryan Watkins, Devesh Desai, Elijah Keller, and Ethan Domina. Competitions are held remotely from the Clarke Middle School computer lab. The semifinal round will take place on February 1st, and the top 3 middle school teams advance to the National competition in Baltimore, Maryland.